So, it’s finally looking like the flying/pilot gig is going to work out and you’ve decided it’s time to look into owning that private airplane. Most of us have experience with general aviation, likely a more limited exposure among our military colleagues. General aviation opens up myriad possibilities for new experiences and travel where only an automobile could take you before. 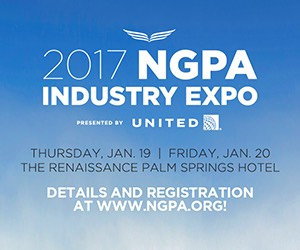 There are 90% more general aviation destinations than those served by the airlines. This is my story so please don’t think that your foray into general aviation will be identical, but it will be an adventure. I have been flying for the airlines for 38 years, but I grew up in general aviation. As a CFI, I logged over 2,000 hours of instruction given, so it seemed like a good time to explore the concept of owning a small airplane. 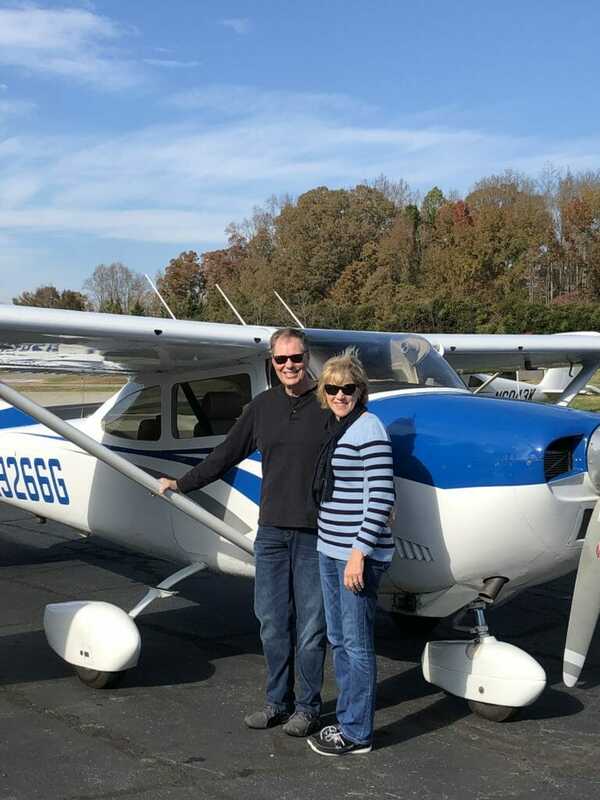 It’s difficult to define the steps that go into buying an aircraft and many aircraft owner (experts) will no doubt be able to pinpoint where I made mistakes, but that is the risk I run sharing my aircraft purchase story. With the objective of helping, I’m going to translate my experience into goals that may help you organize your journey toward purchasing your own aircraft. Define Your Mission:As you begin your search, you will no doubt talk to your fellow crewmembers about your desire to own a personal aircraft. Those I fly with broke it down like this; “Do you want a ‘go-somewhere’ airplane, or do you want a ‘putter-around-the-sky’ airplane?” Many of my friends have opted for the two-place, Cub, Champ, Tri-Pacer type of aircraft. These tend to be much less expensive, both in purchase price and maintenance costs. That is not to say that if you decide on a perfect, well-maintained Piper Cub, it can (and probably will) cost $90 grand. The problem is, if you decide you and the wife want to fly to the beach for the weekend, the Cub is going to cruise at 65 knots. I wanted the “go-somewhere” aircraft. Most of us have flown the Cessna 172 Skyhawk and that was the airplane I was initially drawn to, but thankfully my wife of 40 years and future companion in the small airplane said, “Under no circumstances are you to buy an airplane we can’t put four people in.” If you flew the C-172 you know it has four seats, but with fuel, it’s not a great performer with four bodies in it. I started looking for a used Cessna 182 Skylane. 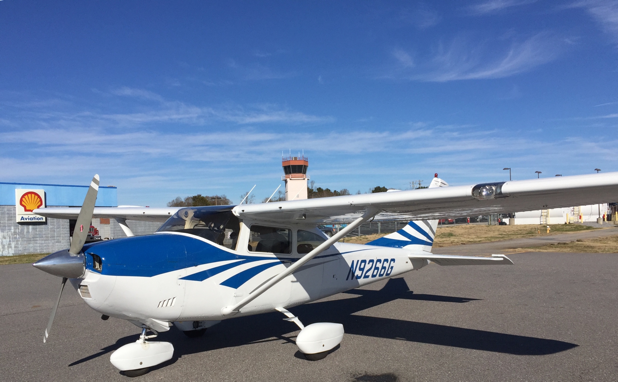 The Skylane has been in production since 1956 and Cessna has delivered well over 23,000 units. The current C-182, delivered new from Wichita, will run about $480,000, a price that includes the latest and greatest technology and avionics. Define Your Budget: Decide what you can spend, then add 25% to it. The purchase price is your ante into the aircraft owning poker game. After your initial purchase, you’ll be looking for a hangar, and you’ll need to purchase insurance. Be sure to budget for that annual inspection and ongoing maintenance. For me, the third day of being an aircraft owner, the attitude indicator rolled over and quit. This is not an exhaustive list, but I ended up buying four noise-cancelling headsets, a Foreflight subscription, an iPad mount, a ladder (high-wing Cessna), fuel tester, pitot cover, hand-held VHF radio, a towbar, a Foreflight Sentry and a set of chocks. The price goes up from there. While my new airplane had fair to average avionics, after almost four decades flying airline equipment, I wasn’t wild about flying IFR with the old six pack of flight instruments, especially with an attitude indicator driven by vacuum. I’ve opted for a new Garmin package which will give me electronic ADI and HSI, RNAV, VNAV, WAAAS, and ADSB IN and OUT. Remember, you must be ADSB OUT by 2020 or you won’t fly in U.S. airspace. Did I mention the autopilot? Well, all that new technology ads up. Start the Search: Most readers of Aero Crew News have a distinct advantage when shopping for aircraft. You have the ability to hop on an airliner and fly to wherever that cream puff sits. I looked in Florida and the furthest was in Utah. After we talked by phone, the fellow in Utah said, “I’m here all the time, just drop in and take a look.” Easier said than done. I read the aircraft sale websites daily. Here are a few to get your started. Basically, I found two groups of aircraft; those that had been flown and were very high-time, or the hangar-queens that hadn’t been flown (much) in years. I tried to stay away from both. I was looking for a <4,000-hour aircraft with either a run-out engine (and a price to match) or with a nearly new engine that had been flown at least 100 hours a year. Aircraft sitting in a hangar, or worse, sitting tied down, will likely have all kinds of rust and rot. 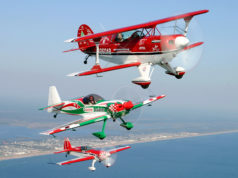 If you find that clean airframe with an engine getting close to or over its TBO, plan on somewhere between $25,000 and $40,000 for the new engine and all the incidentals that go into making it airworthy. Talk to your friends. You’ll find many airline/corporate pilots who own small aircraft who are willing to help. I found the fraternity extremely welcoming and wore a few of them out with questions. With help, find an A&P and an FAA radio repair station you can talk to. You’ll need both. Most of these folks are very busy, but I never found one that wouldn’t talk to me and answer my questions. Take a Test Flight:You’ve been flying the heavy iron for years. You trained within general aviation and have thousands of small aircraft time in your logbook, you should be good to go, right? Wrong, dead wrong. Don’t be that buyer. Go to your local airport and rent a Skyhawk or a Cherokee and get a CFI or one of your well-versed GA friends to give you a complete and thorough check-out. Believe it or not, things have changed. Tools like Foreflight are absolutely amazing, and you’ll need to become familiar. Around larger airports they have something called Class B airspace. Heard of it? Well, if you trespass the Class B in your little airplane you may find yourself losing your big airline job because of your little airplane hobby. GET SOME TRAINING!One of the best sources I found was YouTube. 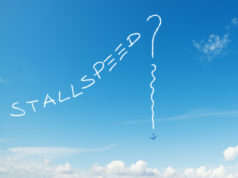 Great training videos on general aviation airspace, navigation tools, ADSB, common errors, etc. can be found and viewed from the comfort of your living room. Be prepared for the test flight. You’ve got to know you’ll love the airplane. That’s just the way it is. Don’t be too quick to run to the bank. Definitely, arrange for a Pre-Buy Evaluationby a licensed A&P, preferably one you know and with whom you have had some interaction. Your best bet is a mechanic who has never seen the airplane (not a friend of the seller) and one who is willing to go along on the test flight. A good thorough pre-buy can save you thousands of dollars. Know going in that the pre-buy will cost you some money. It’s possible you may have to fly an A&P into the airport where the airplane is, but all of those obstacles are worth it. (A good friend of mine took an airline flight into a city in Florida, rented a car and drove to the prospective airplane. He took a few pictures and sent them to his A&P. Just from the pictures the A&P told him, “Run, don’t walk, away from that airplane.”) Your A&P will do an exhaustive check of the aircraft’s records. Complete aircraft records are important. I’ve run into several airplanes that their logbooks were destroyed, lost, damaged, misplaced, etc. Without the logs you have no idea what you’re buying. Many airplanes you’ll look at will have a damage history. When repaired correctly this is not a show-stopper, but you need that A&P to determine what the damage was, and whether the damage was fixed correctly. For me the journey to aircraft ownership was as much fun as actually owning. In the end, I purchased a 1972 Cessna 182N with new paint and interior. The nearly new engine had 300 hours on it, and it had been flown regularly in the years since the engine was overhauled. I received about 10 hours of dual with friends and have flown the airplane about 15 hours by myself so I’m confident I’m ready for passengers. The next step will be upgrading the avionics. Stay tuned for that story. Next articleIs Your 401k on Autopilot? Captain Mike Davis is a Captain/Check Airman for a major international airport, currently based in Charlotte NC. Mike is a 32-year veteran with 17,000 hours of flight experience presently flying the Airbus A330. Mike holds an ATP with 9 type ratings and CFI certification. Mike can be reached at davismd1@gmail.com.